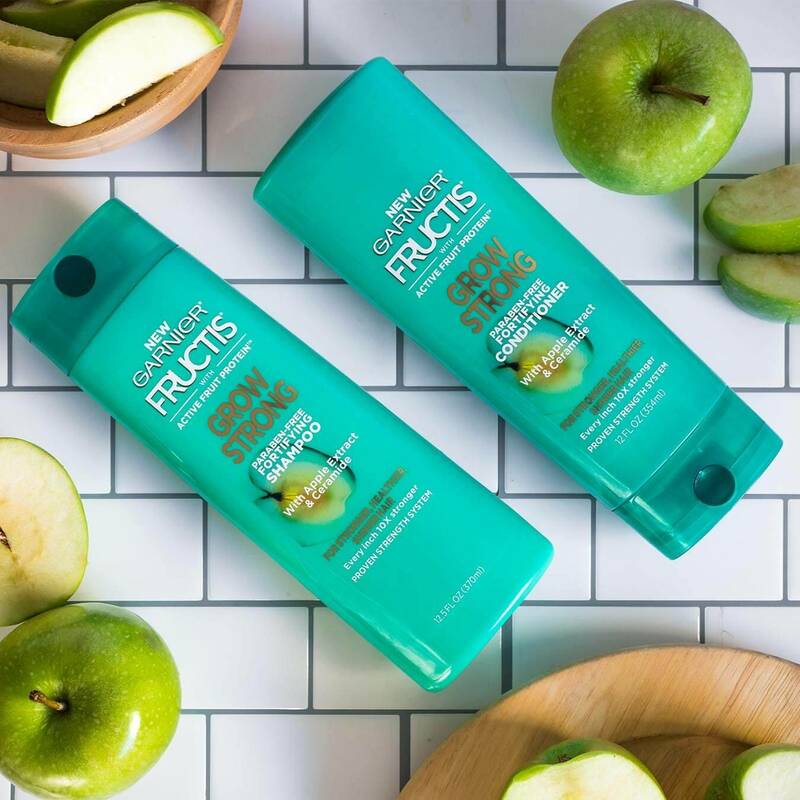 Fructis Grow Strong Shampoo, with Apple Extract and Ceramide, fortifies hair as it grows to bring life back to every inch: stronger, healthier & shinier. Massage onto wet hair, lather and rinse thoroughly. 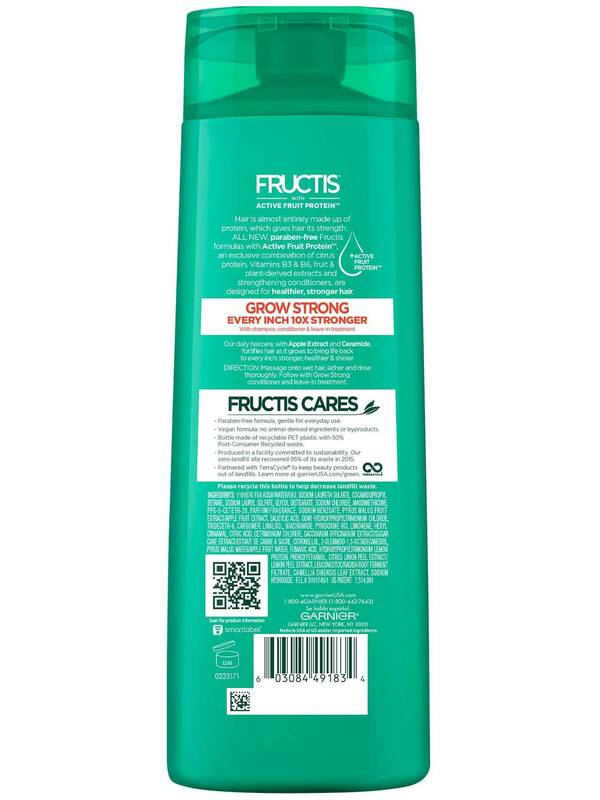 Follow with Grow Strong conditioner and leave-in treatment. Full of vitamins and minerals, apples are more than a delicious fruit to eat. Apple extract is believed to provide many benefits as it is highly packed with powerful polyphenols and antioxidants. 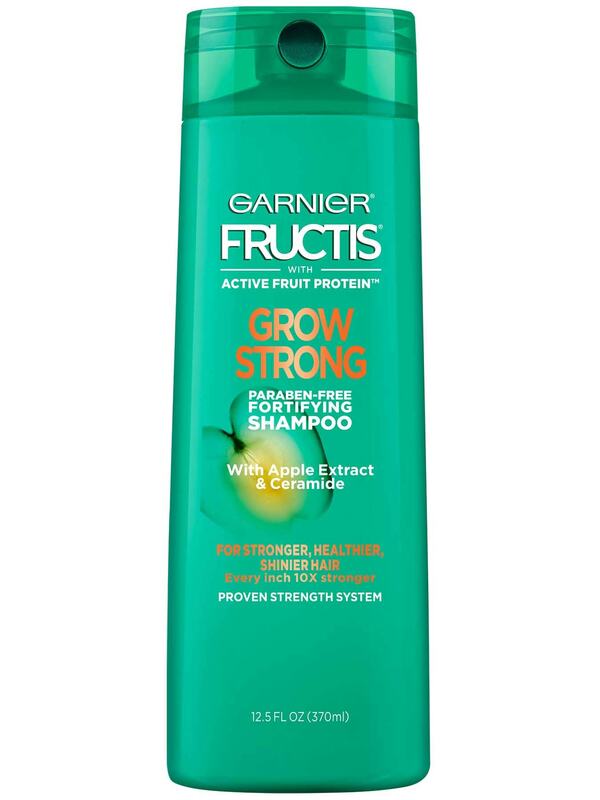 Everything you need to complete your Grow Strong hair care routine. Rated 4 out of 5 by diepstarr from Ive been using this for a whilw. A little goes a long way. I love the smell. Not sure if my hair feels stronger, its hard to say. I do like how it doesnt dry my hair out. I would buy this product again. Rated 5 out of 5 by ali_diane from I love this shampoo! I've been using the shampoo & conditioner for about 4 months and my hair has never looked better! Smells amazing and has made my hair so much stronger and longer. I will never go back to expensive products again, for $5 it does more than my old products for $115! Rated 5 out of 5 by emilyi5 from No exagerration this product smells amazing and makes my hair grow twice as fast. In 5 months of using i have had to get my hair cut at least 3 times because it is growing at an insane rate. Turned all my friends onto this because of the smell and benefitS! Rated 4 out of 5 by megank16 from Smells fantastic, lathers well and I'm definitely growing, but I don't seem to be any stronger. It is my opinion that this product is great for the price. Just so you know, a little bit goes a long way. My hair is relatively short and somehow I always end up using way too much. Bubbles!!! Rated 4 out of 5 by danielanels33 from I like the smell. Leaves my hair feeling fresh and clean. Good drugstore shampoo. Lasts between washes. Rated 5 out of 5 by irisd1 from My favorite shampoo! Repairs my thin damaged hair and keeps it sleek and shiny, you can also use the conditioner as a hair mask.